In part 2 of this series I shared six stories from my colleagues where companies handled issues with money and electronics with great care. In all cases, one could have argued that it was the customer’s fault and therefore they were not eligible for compensation. As you can see from the article, this behavior had a monumental effect on customer loyalty. In this final post in the series, I want to share a handful of stories from some really big companies and we’ll see if the end result was any different. Krystina shared a recent story where she was searching high and low for a Pink Power Ranger costume for her young daughter. The one they found at Costco did not have a full helmet and therefore did not meet her standard. They finally settled on a little devil, took it home, tried it on and, low and behold it was too small. They took the costume back a week later and even though it was their fault for choosing the wrong size, Costco took it back with no questions asked and gave them cash back. Krystina summed it up so nicely in her loyalty statement. Loyalty Statement: It was just what I expected at Costco, but would not expect anywhere else. It’s one reason I continue to pay $50 a year for the “privilege” of shopping there. One Christmas, TJ was vying for the title of “Best Son” by ordering his mom something really nice on Amazon. He instead won “Worst Proofreader” when he shipped the package to his house instead of his mom’s. Turning around and having to ship that package to his mom across the country was inconvenient and costly. Even though the mistake was clearly his, he contacted Amazon who offered to refund the shipping costs. Loyalty Statement: TJ was left with “genuine warm fuzzies when a supposedly soulless corporation showed they were capable of feeling for their customers.” I suspect warm fuzzies are a good omen when it comes to customer loyalty. Shayny shared a great story from a time when she shipped a replacement cell phone to an incorrect address. As the shipper, UPS really was an innocent third party and probably could have just told her to contact the company she purchased the cell phone from. Instead, UPS rerouted the package to a local hub and she was able to go pick it up. They didn’t charge her any extra for the change. Loyalty Statement: There’s no loyalty statement here. There is however a great lesson. If you are a third party but interacting with customers, you still have the opportunity to serve well, solve problems and make a great, lasting impression on people who didn’t directly purchase from you. Becky shared with me a time when she ordered something on Etsy for her boyfriend’s birthday. When the item arrived, it was broken. In this case, Etsy sellers aren’t responsible for items that are damaged during shipping. She reached out to the seller anyway, and after sending pictures of the broken item, they agreed to ship a replacement right away. Loyalty Statement: At the end of the exchange she let the seller know she worked in customer service and was so thrilled to see when companies and sellers stand behind their products. I have yet to see a Southwest ad that wasn’t true or far fetched. They are customer centric to their core. Liza shared a story where she was heading across the country to be with her mother who had a stroke. The plan was for her son to drive with her and then fly back. They purchased a $400 one-way ticket for him. Shortly after they arrived, her mother passed away and her son ended up staying longer for the funeral. When they called Southwest, they were extremely understanding and refunded the ticket. This wasn’t one of the ones you’re supposed to be able to cancel either. If you recall my airline story in Part 1, my airline would not have handled this in the same way. 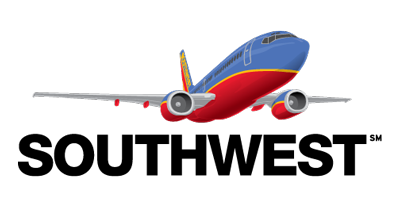 Loyalty Statement: Always fly Southwest if you can! Cassandra shared a story from the time when they were preparing the pamphlets for her father-in-law’s memorial service. His name was a bit unusual and they printed all two hundred with a misspelling. She decided to contact Staples, where they had spent $150 on printing. The misspelling was her fault and Staples was really under no obligation to do anything. When she spoke with the store manager, they agreed to reprint the pamphlets at no extra charge. Loyalty Statement: I was so pleased and relieved that I not only called the Staples store manager, but I left Facebook and Yelp messages for the corporate headquarters and the local store. I even sent e-mails. Most importantly, my mother in law was very happy. Everyone loved the pamphlet and felt that it was a touching tribute to such a wonderful man’s life. When you look back over this list of companies, is it any surprise that these are brands that traditionally rank high in customer satisfaction. Building customer loyalty is a way of life for them and we are happy to give them our business. That being said, are there any other brands you want to give a should out to because they have earned your loyalty? Leaves us a comment or a note on Twitter or Facebook to share your experience.